Singapore was an important shipping centre in the 14th century. In 1819 the city of Singapore was founded by Sir Stamford Raffles. In 1826 it formed part of the Straits Settlements which became a Crown Colony in 1867, becoming separate in 1946. It joined Malaysia in 1963, but broke away in 1965 to become an independent republic. The $100 photographed celebrates the 150th anniversary of its founding. 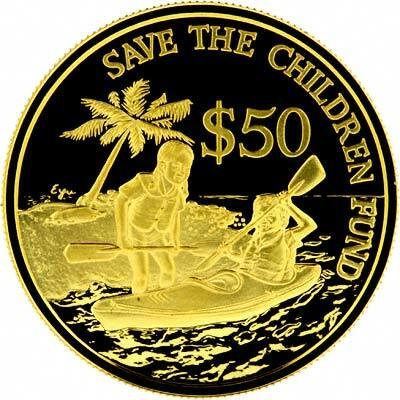 Although Singapore has had its own coinage since 1965, its first gold coins were only issued in 1975, the for the tenth anniversary of independence. This was followed from 1981 by a series of Five Hundred Dollar coins, each with a different design themed on the Chinese lunar calendar. Please see our separate page for proof sets of Singapore Lion bullion issues. All prices are subject to gold bullion market price fluctuations. You may wish to check current pricing and availability before ordering. 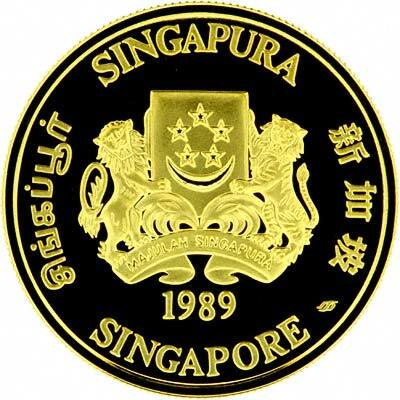 For silver and base metal coins of Singapore, please look at our original Chard Coins website.